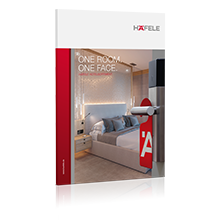 With its headquarters in Nagold, Häfele is a worldwide leading company for furniture fittings and architectural hardware and electronic access control systems. More than 7,600 employees worldwide work for the family-run company in its third generation, with ten sales offices throughout Germany and 37 foreign subsidiaries. Competent, motivated and committed employees make a decisive contribution to our global success. Nothing suitable for you in our job ads? You can also submit a speculative application. Send us your application documents by e-mail to personal@haefele.de or use our online application form.